Happy Tuesday, and happy first of October to you all! Can you believe it's already that late in the year? It's Broni here and I'm back again to share another journal page that I created. I was experimenting and may have gone a little overboard. Somehow I had a hard time stopping. I just kept adding and adding different elements. Well, it is what it is and I had fun! Isn't that what it's all about? First I spritzed on some Dylusions Bubblegum Pink and Pure Sunshine ink sprays. Then I laid down some die cut circles in a random pattern. I spritzed on some White Linen. Next I drew a face using a black fine point Sharpie, but I didn't really like it. So I used a negative die cut and spritzed some more White Linen over it. 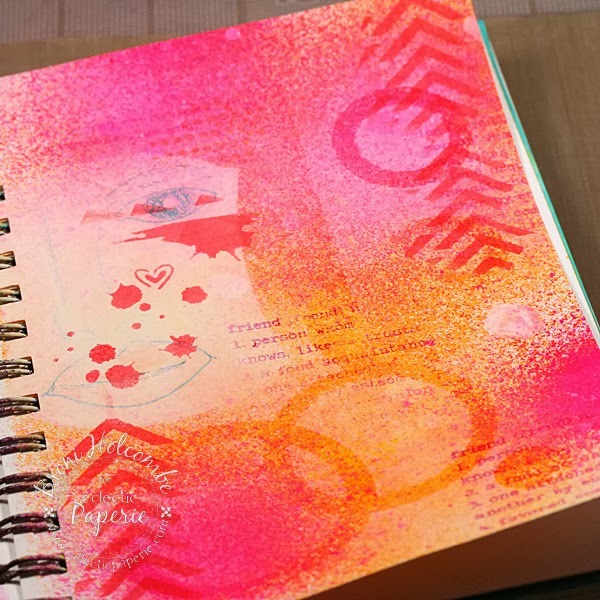 Then I stamped some text using Distress Picked Raspberry ink. 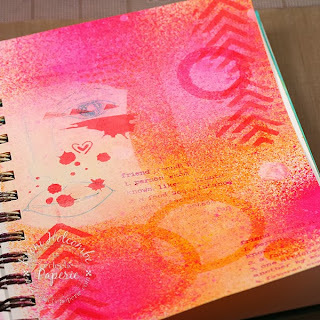 I stenciled on some Ripe Persimmon ink using my Mini Confetti stencil and my Mini Chevron stencil and a blending tool. 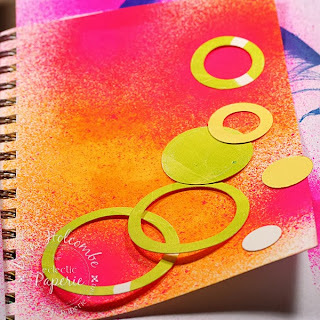 Next, I stamped Grungy Circles in Picked Raspberry and sponged some Black Soot ink through my Mini Art Is stencil and my Tiny Circles stencil. 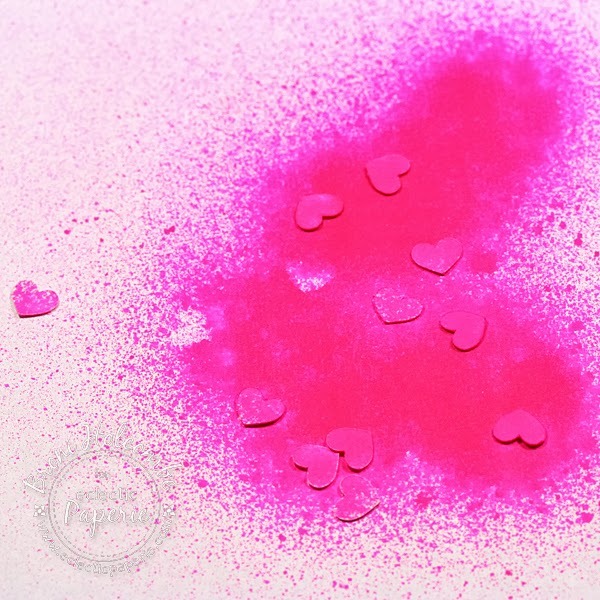 I stamped the paper clips and sentiments in black as well, and then spritzed some die cut hearts in the Bubblegum Pink ink spray and applied them with a glue stick. I spread some embossing paste using the Dotted Flowers stencil and then re-inked the eye and lips. I colored the lips with a neon pink Sharpie. I drew lots of lines with arrows and semi-outlined the hearts and circles with a fine point black Sharpie. Finally I glued on a wood heart and added a strip of black rhinestone webbing. Thanks so much for stopping in today! Happy crafting! Fun page. Love those colors. Fabulous page, love the colors. Super fun page, Broni! I adore how you added the circles and tiny hearts...just perfect! 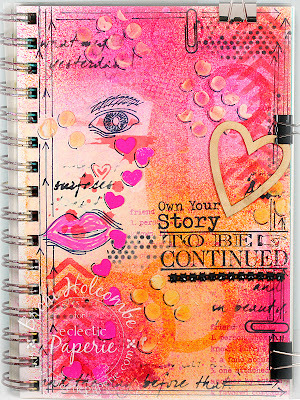 Overboard..nooooo... it`s a stunner of a page Broni, loving it!! Yummy colors, Broni, and I love the way the lips and the hearts share a similar shape. It adds so much unity to this wonderful journal page. This is spectacular, Broni! Fabulous work! 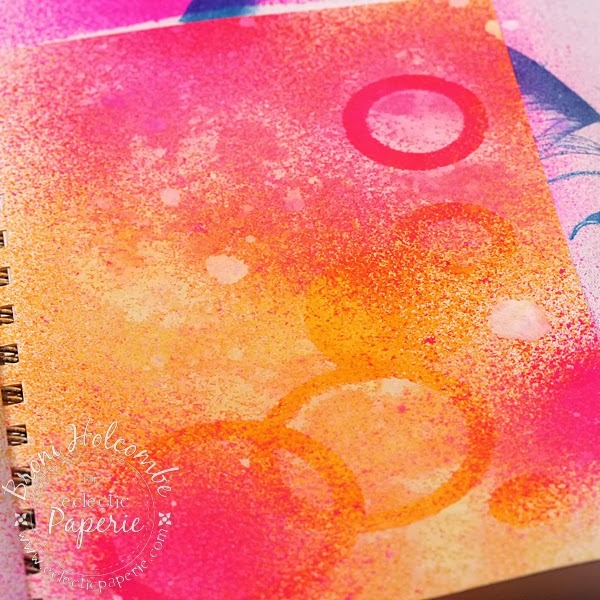 This is so bright and fun! 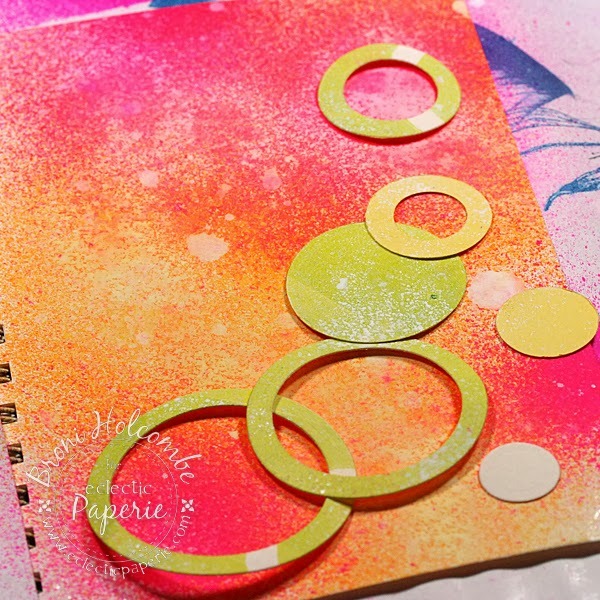 I adore those colors and all the layers of stenciling and masking is just amazing. Love those circle tone on tone color on that page. Those colors are stunning and I love the overall page. Gorgeous. 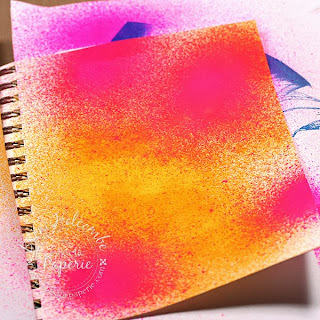 I panic with these bright colors, but I LOOOVE how you used them!!! Wow! I loved so many things about this project! I adore color and you are a queen at doling it out in just the right tones and amounts! The way you layered the shapes and shades was quite remarkable. And the quote-- the thought that all of our lives are in a constant state of "to be continued" is very reassuring! This was a beautiful and whimsical piece of art, yet it also had a lot of depth. 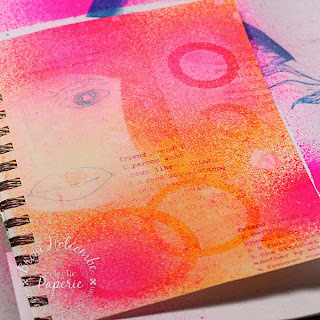 Thank you so much for sharing your talents with us here at the Simon Says Stamp Monday Challenge blog.